WASHINGTON (PAI) – Dismissal and some derision, from everyone from postal and construction union leaders to congressional Democrats to even the Radical Right Heritage Foundation, greeted House GOP leaders’ latest scheme to pay for fixing the nation’s highways, by killing Saturday postal service and diverting the “saved” dollars to roads. The idea, floated May 31 by Speaker John Boehner, R-Ohio, Majority Leader Eric Cantor, R-Va., and Majority Whip Kevin McCarthy, R-Calif., would send $10 billion to the Highway Trust Fund over a decade. The three, catering to their Tea Party caucus, oppose other ways to shore up the trust fund, which may run out of money as soon as the end of July. Their solution is to scrap Saturday pickups and delivery, which they claim would also help lessen the Postal Service’s red ink. In his budget for the year starting Oct. 1, President Obama also wants to scrap Saturday service. He says that would save $2 billion yearly. But Obama would pay for highways by closing business tax loopholes. Unions, led by the Laborers, want to raise the gas tax for the first time since 1991. Letter Carriers President Fredric Rolando called the House GOP plan “a shell game” that “relies on accounting gimmicks.” And that “political cop-out” would kill 80,000 jobs, too. “Rather than offer Americans real solutions, House leadership is once more seeking the easy way out. America can have a strong, safe highway network without sacrificing a strong Postal Service. We shouldn’t be forced to choose between the two. GOP leaders need to go back to the drawing board. “This maneuver makes no sense. The Postal Service doesn’t rely on taxpayer money or Congress to fund its operations. It earns its revenue selling stamps, and it shouldn’t be treated like a congressional piggy bank,” Rolando added. New Postal Workers President Mark Dimondstein agreed. He pointed out House leaders “can’t have it both ways” by claiming USPS is so financially weak that it has to slash services and fire workers — as the Postmaster General urges — while simultaneously saying USPS has money to finance the nation’s highways. “It is another irresponsible attempt by House Republicans to loot the USPS and undermine postal service by eliminating Saturday mail delivery,” and yet another step towards privatizing the Postal Service, Dimondstein said. “The Postal Service isn’t funded by taxpayers. Its revenue comes from the sale of postage and services, so there is absolutely no justification for Congress to grab USPS funds for any federal project – even one as important as the Highway Trust Fund. Furthermore, the proposal is based on a fiction: It assumes there will be ‘real savings for the Treasury’ from a hypothetical future event – a postal bailout – that no one proposed. Projected savings from the elimination of Saturday mail delivery are also highly questionable,” he added. Construction union leaders were just as caustic. Laborers President Terry O’Sullivan denounced the GOP scheme as yet another “duct-tape fix” that Republicans, in their anti-tax fever, want to use to temporarily shore up the Highway Trust Fund. 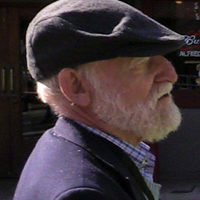 O’Sullivan has been one of the most outspoken supporters of raising the gas tax to pay for U.S. infrastructure, including road repairs, bridge replacements, subway lines and bus purchases. The GOP scheme “would damage both Americans who rely on the mail service and those who want safe roads and bridges,” he added. “Gimmicks will not address the dire situation of our roads and bridges. Kicking the can down our pothole-filled roads is a recipe for further decline. “Congress has several responsible, viable options before it. The Senate Environment and Public Works Committee has passed a bi-partisan highway bill that would stabilize the Highway Trust Fund for six years. The Transportation Department proposed a 4-year plan. Rep. Earl Blumenauer, D-Ore., filed a bill to stabilize the fund for 10 years through an incremental 15-cent gas tax increase. Each proposal would not only be a step toward making our roads and bridges safer, they would create and protect hundreds of thousands of jobs. “Robbing the Postal Service to provide inadequate transportation investment would not only threaten nearly 100,000 postal jobs, but the uncertainty it would create in the construction industry would forgo the creation of hundreds of thousands of good construction jobs,” O’Sullivan said. Voters “want responsible action,” he added, meaning investment in fixing roads and bridges. He also cited numerous opinion surveys showing support for a modest gas-tax hike to pay for safe roads and bridges. 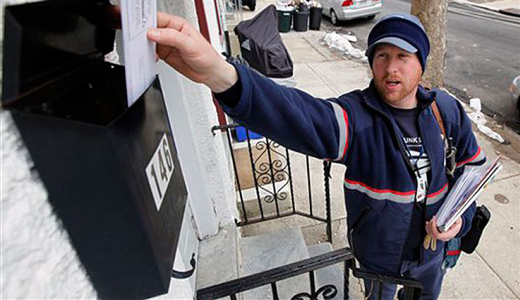 “This plan would begin dismantling the Postal Service, an agency that’s based in the Constitution and provides Americans with the world’s most-affordable delivery service,” NALC’s Rolando said. “A bipartisan majority signed the resolution by Rep. Sam Graves, R-Mo., to maintain Saturday mail delivery, given its importance to small businesses. The USPS has been operationally profitable since October 2012. Degrading service would drive mail out of the system, thereby stopping the postal turnaround in its tracks and achieving the exact opposite of what proponents of this legislative maneuver claim it would do,” Rolando concluded.